The Nanooptics Group performs experimental and theoretical research in Nanooptics and Nanophotonics, covering both fundamental and applied aspects. Essentially, we develop near-field nanoscopy (scattering-type scanning near-field optical microscopy, s-SNOM) and infrared nanospectroscopy (Fourier transform infrared nanospectroscopy, nano-FTIR), and apply these novel analystical tools in different areas of science and technology. Both techniques offer a wavelength-independent spatial resolution of about 10 to 20 nm spatial resolution at visible, infrared and terahertz frequencies, thus beating the conventional resolution (diffraction) limit by a factor of up to 1000. 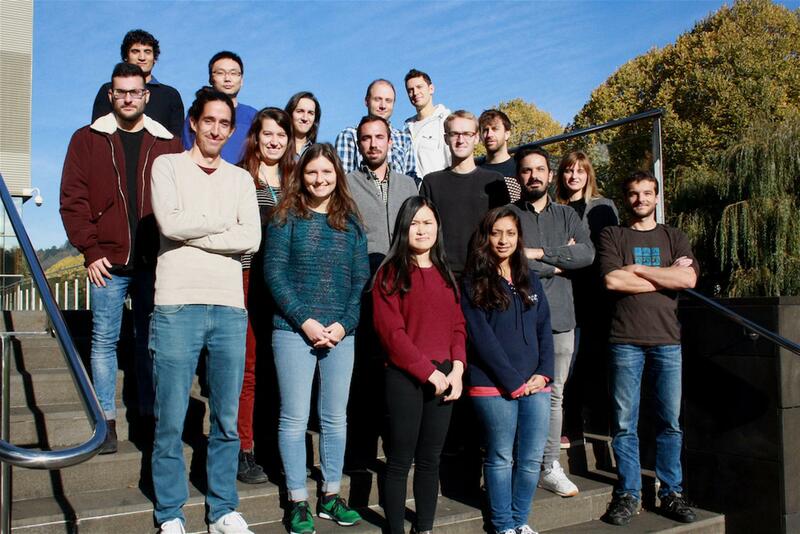 We continuously work on novel instrumental developments, with the goal to push the spatial resolution towards the single molecule level and to enable three-dimensional infrared-spectroscopic nanotomography. We apply s-SNOM and nano-FTIR to study plasmons in metal and graphene nanostructures, as well as phonons in polar crystals, for the development of ultracompact nanophotonic devices and their application, e.g. in optoelectronics and sensing. IR s-SNOM and nano-FTIR are applied for nanoscale mapping of chemical composition of polymers, secondary structure of proteins, carrier distribution in semiconductor nanowires and optoelectronic properties of novel 2D materials. We develop and apply theory for the propagation and scattering of waves/surface waves in natural, artificial and 2D materials, for modeling near-field spectroscopy, and for reconstruction of material properties from near-field data.